An influential and public-spirited citizen, Edward Baxter was a shrewd businessman, landowner and generous philanthropist, known for being "well-read" and "highly cultivated." He was one of the major contributors to the Albert Institute, along with his brother and sisters. William Edward, b.1825; Euphemia Wilson, b.1830; Marion Crawford, b.1838; Elizabeth Jobson, b.1842; John Henry, b.1851; Emily Margaret, b.1853; Edward Cornel, b.c.1855; Lucy Eleanor, b. 1858 and Flora Jean, b.1860. Subscriber no. 4 George Armitstead was his son-in-law and co-owner of the Runo registered in Dundee 1849. Subscriber no. 11 George Lloyd Alison co-owner of the London registered in Dundee 1853. Subscriber no. 24 Miss M.A. Baxter was his sister. Subscriber no. 29 Sir David Baxter was his brother. Subscriber no. 35 W.E. Baxter MP was his son. Subscriber no. 56 Thomas Couper co-owner of the London registered in Dundee 1853. Subscriber no.136 William Lowson co-owner of the London registered in Dundee 1853. Subscriber no.153 Robert Mackenzie co-owner of the London registered in Dundee 1853. David Baxter was the son of Elizabeth (Betty) Gorrell (1763-1804) and William Baxter (1767-1854). William and Betty had eight children: Eleanor (1788-1868), Edward (1791-1871), Margaret (1794-1845), David (1793-1872), John Gorrell (1796-1853), William Gorrell (1798-1852), Mary Ann (1801-1884), and Elizabeth (1802-1883). Edward's father had erected a flax and tow yarn spinning mill on the Glamis Burn about 1806. Edward commenced business about 1813 as an export merchant in company with his father and, from the outset, his business talents were "of a very high order." At this time most foreign business done by Dundee merchants had to be done through agents in London and Liverpool. Edward set about changing this and "applied himself and succeeded in getting into direct correspondence with foreign markets without intervention of any agent or factor." In 1822 William Baxter and his eldest son, Edward, erected a spinning mill at Lower Dens, operating as William Baxter and Son. Edward was actively involved in the campaign to repeal the Linen Stamping Act, which achieved its goal in 1823. On 12 July 1824 Edward married Euphemia Wilson, daughter of William Wilson. In 1825 the firm of Baxter Brothers & Co was founded, taking in William's younger sons, John Gorrell and William Gorrell. About this time Edward left the business to set up his own firm. He was elected to the Police Board and also found himself involved in the attempts to achieve municipal reform in Dundee in a dispute between the Guildry and the Town Council over the election of the Dean of Guild. He briefly served as Dean of Guild and as a bailie during the controversy over elections and the attempts to end the abuses of the unreformed Town Council. He was the Consul for the United States of America by 1829 and was described as a general and commission merchant in 1834. 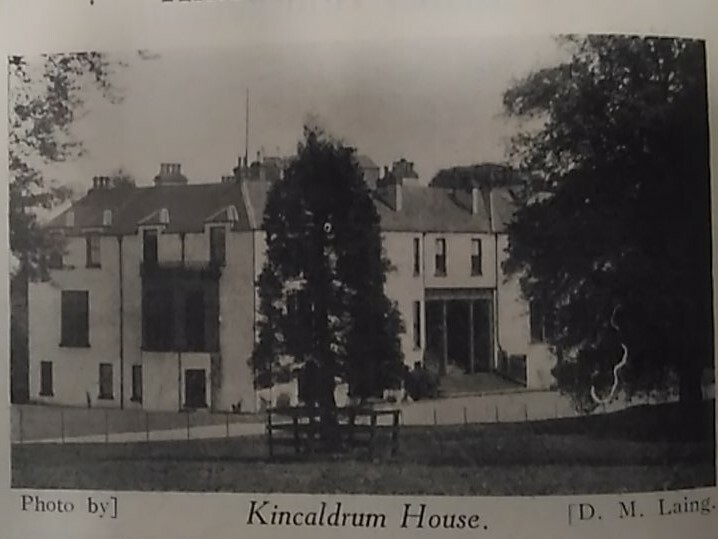 He was also a supporter of the new public seminaries, now Dundee High School, which brought the three burgh schools together in one building in 1834 and was elected to its committee of management by his fellow subscribers in 1844. Edward's first wife, Euphemia, died on 22 August 1833 and he married Elizabeth Jobson on 15 September 1835. She also died young on 2 July 1842 and Edward married for the third time on 19 April 1844 to Jean Paterson. 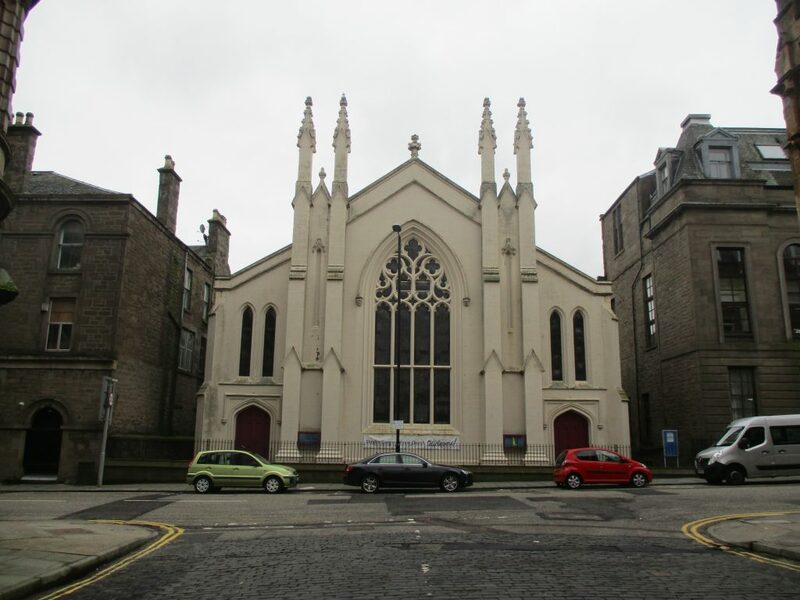 Although not members of the Congregational Church in the West Port, Edward and his father subscribed towards a new chapel, its congregation planned for Constitution Road and which opened as the Ward Chapel in 1833. 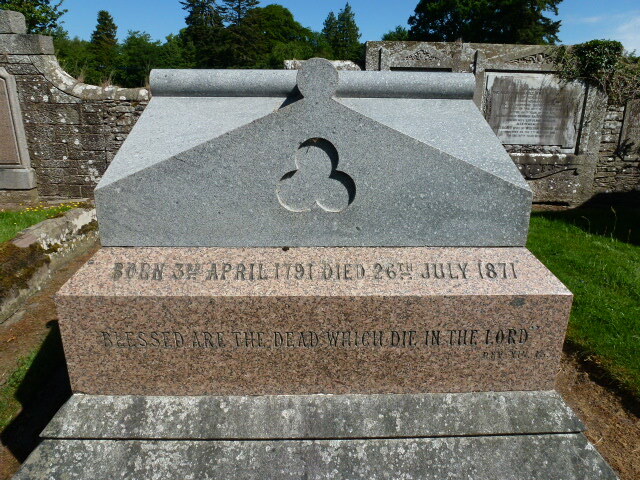 Edward, his third wife and one of his daughters became members in 1845. The Baxter family, and Edward Baxter in particular, were great supporters of the Dundee City Mission Association, a body with a strong religious foundation. In addition to a subscription of ten guineas he also made an annual donation of £30 during his time as its President and Vice-President. He gave his time and commitment to other religious organisations, such as bible societies and organisations for the distribution of tracts, but he also supported more practical charities like the Model Lodging House Association, the Working-Men's Coffee and Newsroom and the Indigent Sick Society. The industrial schools were "specially indebted to him for the unremitting zeal with which he laboured in their behalf." He was a "leading and energetic member" of the Anti-Corn Law League and an advocate of free trade. 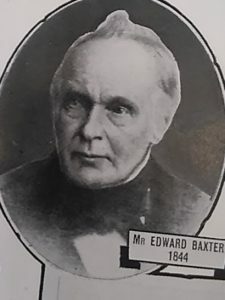 His export business was a great success an in about 1850 he took his eldest son from his first marriage, William Edward Baxter, into business with him and re-named the firm Edward Baxter & Son. In 1855 W.E. Baxter was elected MP for the Montrose Burghs having been encouraged to do so by his father. Edward was one of the major contributors to the Albert Institute Ltd, subscribing £1000 like his younger brother, Sir David Baxter. Edward's son, William, would also play a major part as a subscriber and would eventually serve as its chairman. Edward was made one of the trustees of Baxter Park after the magnificent gift of his brother, David and his sisters, Eleanor and Mary Ann, to Dundee. 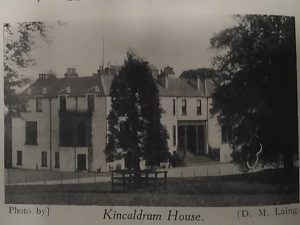 By the time of the Albert Institute subscription Edward had acquired the country estates of Kincaldrum and Craignathro, Inverarity, Forfarshire. 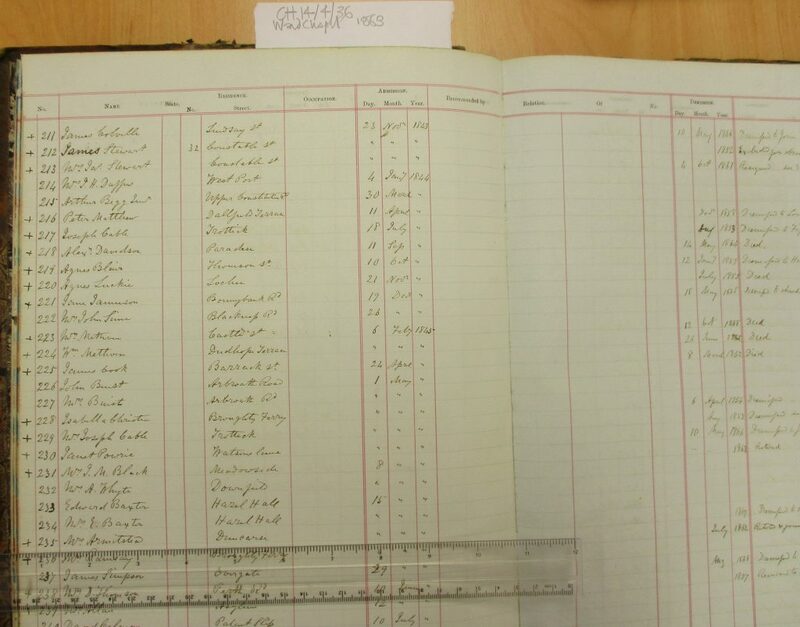 In the 1861 census he is described as a linen merchant and landed proprietor. He was also believed to have held substantial landed property in the north of Ireland (the inventory at his death records various tenants in County Mayo) and It was observed of him that "whether as a merchant or landowner his shrewdness was infallible." The value of his estate amounted to £463,799. Old Parish Record. Dundee. Baptism. 6 April 1791. 282/70 398. Scotlands People website. Scotland, Select Marriages, 1561-1910. Dundee. 12 July 1824. FHL Film Number 993404. Ancestry website. Scotland, Select Marriages, 1561-1910. Dundee. 15 September 1835. FHL Film Number 993404. Ancestry website. Scotland, Select Marriages, 1561-1910. St Cuthberts, Edinburgh. 24 April 1844. FHL Film Number 1066766. Ancestry website. Genealogy submitted by Normile Edward Alexander George Wyndham Elliot Baxter to Burke's Landed Gentry (2000). Lamb Collection 469(2). Local Studies, Central Library, Dundee. 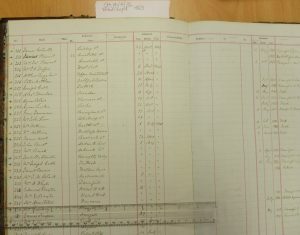 Old Parish Record. Dundee. Baptism. 26 July 1825. 282/160 275. Scotlands People website. Old Parish Record. Dundee. Baptism. 6 May 1830. 282/160 275. Scotlands People website. Old Parish Record. Dundee. Baptism. 9 October 1838. 282/180 192. Scotlands People website. Old Parish Record. Dundee. Baptism. 27 December 1842. 282/190 95. Scotlands People website. Old Parish Record. Dundee. Baptism. 24 May 1851. 282/200 52. Scotlands People website. Old Parish Record. Dundee. Baptism. 29 June 1853. 282/200 116. Scotlands People website. Statutory Registers. Inverarity, Forfarshire. Birth. 1855. 292/14. Scotlands People website. Statutory Registers. Dundee, First District. Birth. 1858. 282/2 620. Scotlands People website. Statutory Registers. Dundee, Second District. Birth. 1860. 282/2 276. Scotlands People website. Dundee Directory, 1829-30. Local Studies, Central Library, Dundee. Dundee Directories, 1834-1854. Local Studies, Central Library, Dundee. Dundee Directories, 1856-1871. Local Studies, Central Library, Dundee. Dundee Directories, 1864-1871. Local Studies, Central Library, Dundee. Testamentary Records. England & Wales, National Probate Calendar (Index of Wills and Administrations). 1872. Ancestry website. Register of Members, Ward Chapel Congregational Church, 1863. CH14/4/36. Dundee City Archives. Dundee Courier, 27 July 1871. British Newspaper Archive website. (Edward Baxter's son, W.E. 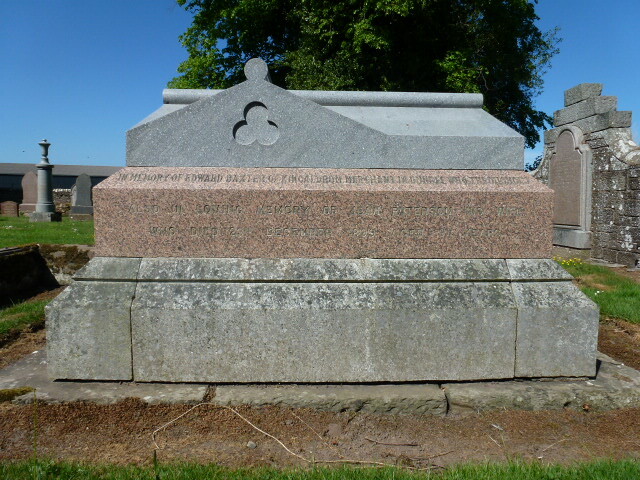 Baxter, was Liberal MP for the Montrose Burghs and his son-in-law, George Armitstead, served as Liberal MP for Dundee towards the end of Edward's life. He was also reported to be a strong advocate of free trade). Smith, James V. The Watt Institution, Dundee, 1824-1849. (1977) Dundee: Abertay Historical Society. p.53. University of Dundee Archives Service. Dundee Directories, 1829-1830. Local Studies, Central Library, Dundee. Dundee Directories, 1842-1847. Local Studies, Central Library, Dundee. Dundee Directories, 1834-1850. Local Studies, Central Library, Dundee. Dundee Directory, 1842-1847. Local Studies, Central Library, Dundee. Dundee Directories, 1846-1868. Local Studies, Central Library, Dundee. Dundee Directory, 1844-45. Local Studies, Central Library, Dundee. Dundee Directories, 1846-1865. Local Studies, Central Library, Dundee. Dundee Directories, 1850-1865. Local Studies, Central Library, Dundee. Dundee Directories, 1850-1871. Local Studies, Central Library, Dundee. Dundee Directories, 1850-1868. Local Studies, Central Library, Dundee. Dundee Directories, 1869-1871. Local Studies, Central Library, Dundee. Dundee Police Board Minutes, 1824-1832. Dundee City Archives. Dundee Directories, 1829-1847. Local Studies, Central Library, Dundee. Lamb, A.C. and Millar, A.H. (1892) List of the Magistrates and Town Council of Dundee, 1587-1886. Dundee. Local Studies, Central Library, Dundee. Dundee Directories, 1842-1871. Local Studies, Central Library, Dundee. 1861 Census Scotland. Second District, Dundee, Liff and Benvie. 282/2 ED35 p.1. Ancestry website. Dundee Directories, 1829-1834. Local Studies, Central Library, Dundee. Dundee Directories, 1837-1857. Local Studies, Central Library, Dundee. MS Genealogy of the Baxter Family, 1863. Lamb Collection. LC377(4). Local Studies, Central Library, Dundee. Dundee Courier, 15 October 1872. Death of Sir David Baxter. British Newspaper Archive website. Walsh, Lorraine. 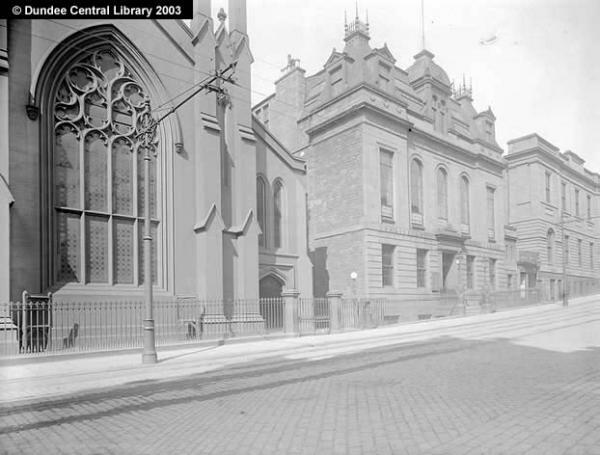 (2000) Patrons Poverty & Profit - Organised Charity in Nineteenth-Century Dundee. Dundee: Abertay Historical Society. p.29. University of Dundee Archives Service. Dundee Courier, 27 July 1871. British Newspaper Archive website; Smith, Annette M. The Guildry of Dundee. (2005) Dundee: Abertay Historical Society. pp.141-142 and Smith, James V. The Watt Institution, Dundee, 1824-1849. (1977) Dundee: Abertay Historical Society. p.53. University of Dundee Archives Service; Lamb, A.C. and Millar, A.H. (1892) List of the Magistrates and Town Council of Dundee, 1587-1886. Dundee. Local Studies, Central Library, Dundee. McKean, Charles and Walker, David. (1985) Dundee - An Illustrated Introduction. Edinburgh: The Royal Incorporation of Architects in Scotland and Scottish Academic Press. p.47. Local Studies, Central Library, Dundee. McCraw, Ian. (2002) Victorian Dundee at Worship. 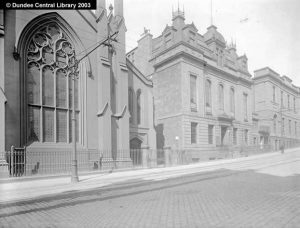 Dundee: Abertay Historical Society. p.20. University of Dundee Archives Service. Walsh, Lorraine. 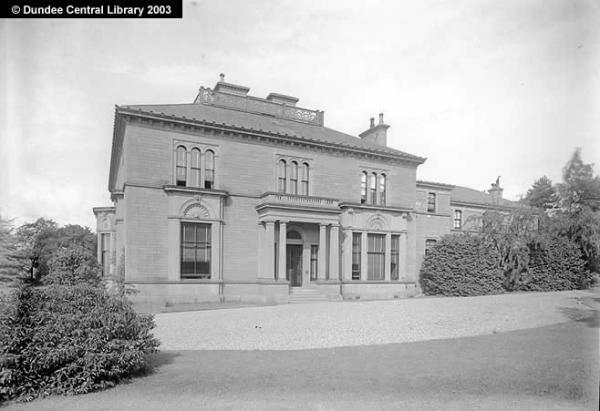 (2000) Patrons Poverty & Profit - Organised Charity in Nineteenth-Century Dundee. Dundee: Abertay Historical Society. pp.27-29. University of Dundee Archives Service. Dundee Courier, 27 July 1871. British Newspaper Archive website and Dundee Directory, 1856-57. Local Studies, Central Library, Dundee. Carlyle, E.I., revised by Matthew, H.C.G. (2004) Baxter, William Edward (1825-1890). Oxford Dictionary of National Biography website. and Dundee Obituary Book, no1, 1869-1894. The late Mr Edward Baxter. p.18. Local Studies, Central Library, Dundee. Dundee Advertiser, 23 December 1863. British Newspaper Archive website. Dundee Directories, 1867-1871. Local Studies, Central Library, Dundee. Dundee Obituary Book, no1, 1869-1894. The late Mr Edward Baxter. p.18. Local Studies, Central Library, Dundee. Testamentary Records. Will and Testament. Dundee Sheriff Court. 10 February 1872. SC45/31/23. Scotlands People website. Many thanks to the ever helpful staffs of Local Studies, Central Library, Dundee; Dundee City Archives; Perth & Kinross Archives and Local & Family History, A K Bell Library, Perth. 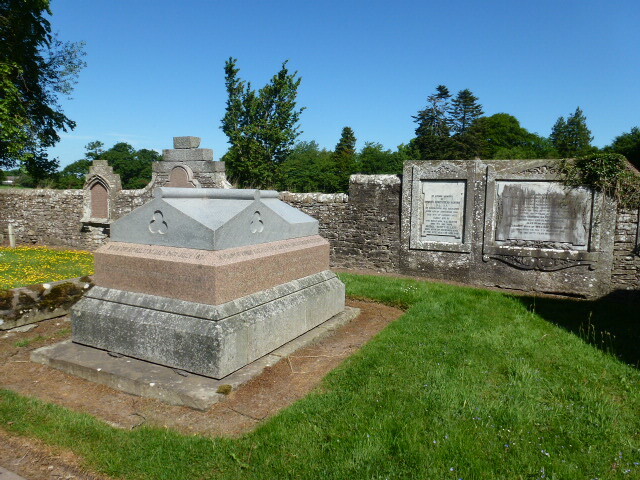 Special thanks to Susie Cathro for photographs of Edward Baxter's grave. The information above about Edward Baxter has been collated from a range of digital and hard copy sources. To the best of our knowledge it is correct but if you are relying on any information from our website for the purpose of your own research we would advise you to follow up the sources to your own satisfaction. If you are aware of an inaccuracy in our text please do not hesitate to notify us through our Contact page.